You won’t need to go all the way to Winton! 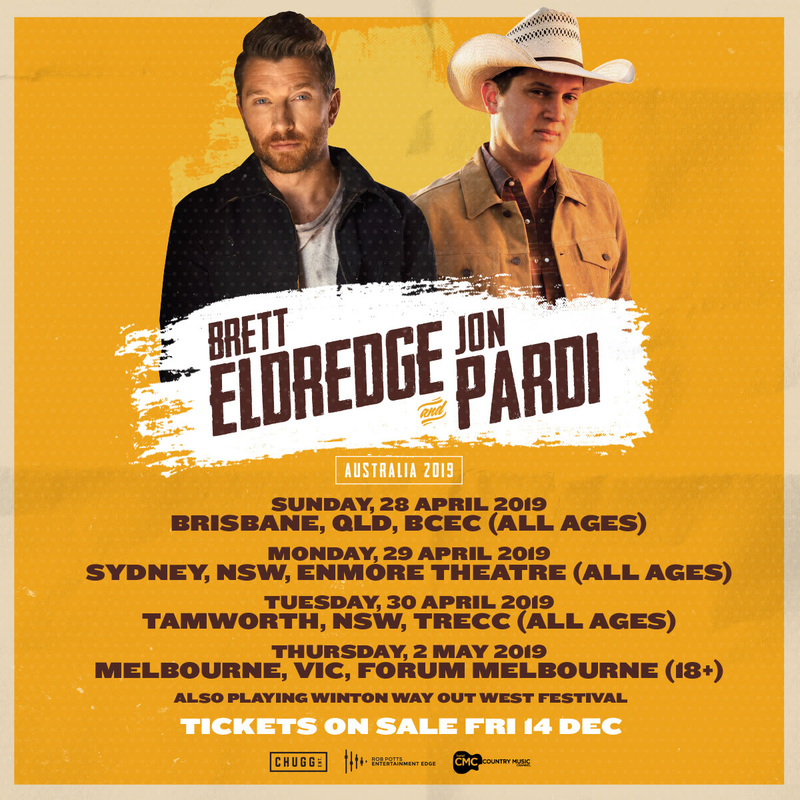 Chugg Entertainment have just announced that US New Country stars Brett Eldredge and Jon Pardi will be touring the rest of Australia, in addition to headlining the Winton Way Out West Festival next year. Following Winton, the duo will be heading to Brisbane, Sydney, Tamworth and then Melbourne. Dates and venues below. Sadly it appears South Australia and Western Australia have again miss out on international artists touring. Next year is shaping up to be the busiest yet for Australia’s country music fan base, in fact Big Stu from the Planet Country radio show has already claimed 2019 as the year of the country fan. Let us know in the comments section if you have Brett Eldredge and Jon Pardi on your concert calendar. For ticket links and more information, hit the button below. We love ‘Love Someone’ by Brett Eldredge too!